We live in a very busy world with an enormous amount of diversity and perspectives. On average we are exposed to thousands of messages, philosophies, viewpoints and insights from ads to ideas and even common interaction. Regardless of what you choose to accept as you think about it, being exposed to any piece of content does play a role in your reality. Your subconscious mind has no filter. It records anything you consume whether you’re reading it, watching it, listening to it; whatever you absorb. Pay very close attention to what you are feeding your brain and take actions to guard your mental consumption. Your reality depends on it. 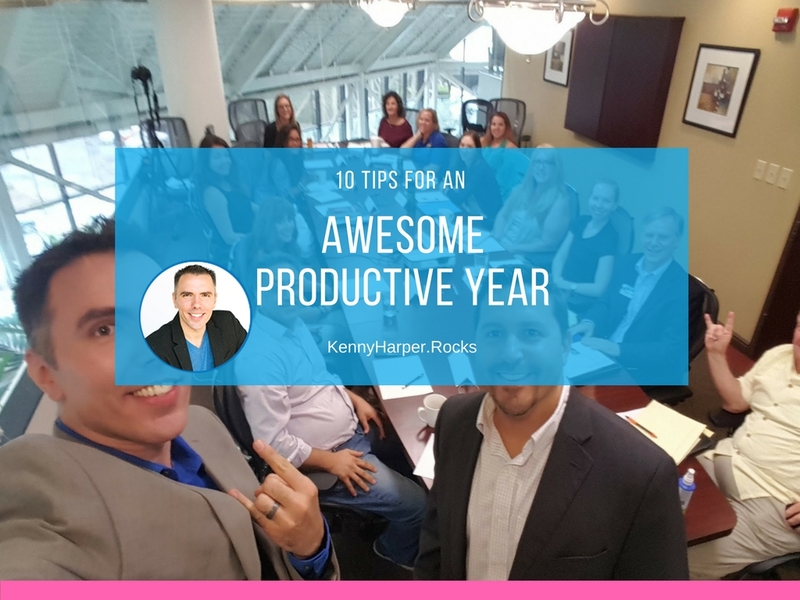 If you’ve been following my posts for having an awesome, productive year, by now you will have defined a BOLD Vision or at least some things that you would like to achieve in your life. Think about where you are on the path to growing in your personal development. CEO of Action Coach, Brad Sugars, shares a concept – BE x DO = HAVE. BE the person you want to be by refining your mind, skills and abilities. DO the things that are most important in achieving your Vision. HAVE the results you want in life. Simply put, if you have developed all of your personal skills and are doing the most important things then you should have the results you want. If you do not have those results you are not BEing the person you need to be or DOing the things you need to do. By changing the content and environment you intake, you can begin to change and develop the person you are and start doing actions that will achieve results; the results you crave. I am going to share with you an easy way to define where you need to improve in order to change your perspective, knowledge and skills that are needed to reach your vision. It will help you to become aware of all the information you are absorbing, so you can pay more attention to what you’re stuffing into your brain. It will get a better sample of what information you are consuming, because during the week, you will be doing different things each day. Once you have completed your Log of Mental Consumption it’s time to do an honest audit. Look at each piece of information you take in and evaluate it as data against the following parameters. Is this data positive, negative, or neutral? If the data is negative, aim to get rid of that type of input; don’t absorb any more like it. It is not adding true value to your life. Is this data helping me grow in important areas? If not, you may consider swapping this type of data out with something more beneficial to you. Is this data something I really enjoy and want to keep accumulating? If so, write down why you like it, what value it’s contributing, and other possible resources for more helpful data like this. Is this data something I can change or avoid? There will probably be some things, like office meetings for example, you can not fully avoid, but you may be able to change them and make them a better resource. Now that you’ve assessed the data you’re currently processing, you can begin to be proactive on what your data intake is. This doesn’t mean you can’t watch TV, listen to music, or watch a movie for fun at all. It simply means use your time wisely and take actions that will assist you in your quest to become the best you that you can be, by consuming more data that will help you learn and grow. Action: Write out 3 things you can change in your daily or weekly routines to take in more meaningful data and how you plan to make the switch. Then make those changes and see how your life improves. Once you have done this initially you should have discovered new ways to get more meaningful data into your daily consumption. It can be beneficial to repeat this process periodically, say for example every several years. You may find that you have slowly reverted back to your old and less helpful habits. This is common and can be easily corrected with due attention. OR you may find that you are ready and willing to make more changes to your actions and ready to consume new material to work on different parts of your personal growth. The important part is to always be focused on making efforts to better yourself. What are some things that you do to ensure you get good mental consumption?